Kids love animals, and they love singing, too. 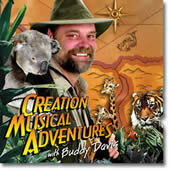 They’ll ask for this fun DVD over and over, and you’ll love saying yes. 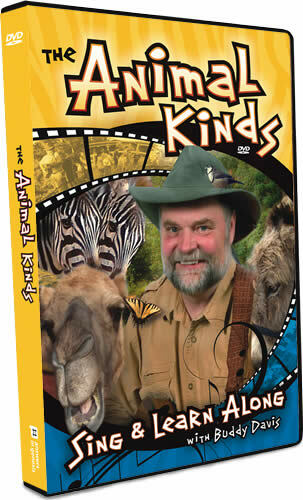 In this delightful sing-and-learn-along DVD, your kids will join children at the Creation Museum’s cool botanical gardens and petting zoo as they learn about the amazing animal “kinds” that God created. Dinosaur sculptor and songwriter Buddy Davis visits with zoo and museum staff members who show the incredible design features God put into His animals, including the camel, dog, and horse kinds. 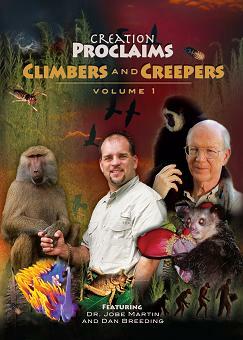 Wraps up with a kid-friendly presentation of the gospel.